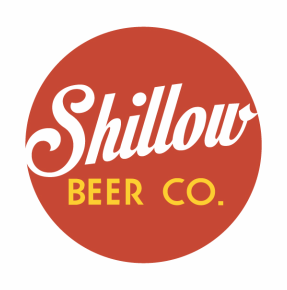 Shillow Beer Co. - Beers - Shillow Beer Co.
A medium-bodied pale-amber ale with pronounced noted of fruit and spice. ​Beer Snob Belgian Rye Ale is available on draft at select bars and restaurants. It is also available in 473ml cans in the LCBO during the spring/summer seasons! Aggressively bold, earthy, and intense. A medium-full bodied ale loaded with hops and balanced with roasted malts and hints of black licorice. ​Bitter Waitress Black IPA is available in 473ml cans in the LCBO during the fall/winter seasons, and on draft at select bars and restaurants! 2018 Ontario Brewing Awards Silver Medal winner!! A toasty pale ale loaded with juicy dry-raspberry flavor from real whole raspberries. ​Bandwagon Raz-P-A is a Summer seasonal release, available in cans and on draft while supplies last! Ahtanum Leaves is a limited single release, available now in your favorite craft beer bars! A dark, medium to full bodied English style porter with heavy notes of roasted coffee and chocolate. ​Knowledge is Porter is not currently available. An approachable, dark reddish-brown ale with tons of nutty and toasty flavours. ​Sass on the Side Brown Ale is produced exclusively for Beerbistro restaurant in Toronto Ontario! ** Produced at Niagara College Teaching Brewery, this unflavored beer does not fall under COR supervision. Contact your local orthodox rabbi regarding the kosher status of this beer.